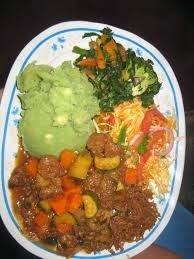 Mukimwo is an african food flavour full of nutrients and sweatness. some people actually call it IRIO. *2 combs of Green soft maize. *1/2 kg of green peas. *6 pcs of mature pumpkin green leaves. 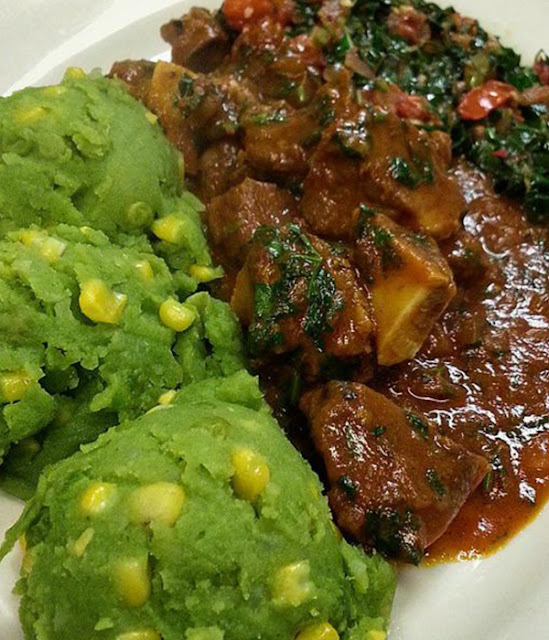 1.boil maize and green pees for about 15minutes on a pressure sufuria. 2.boil potatoes,pumpkin leaves till cooked. 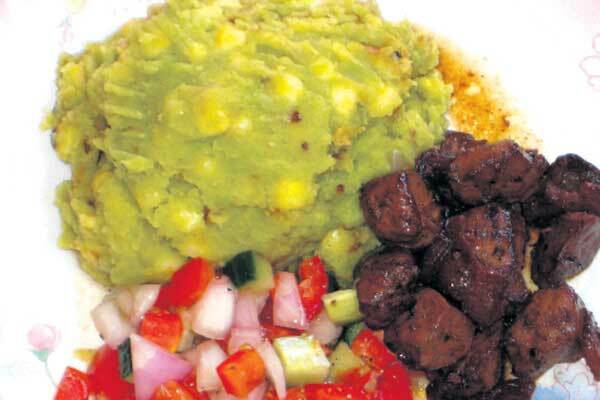 3.smash the mixture of maize and pees combined with step 2 . 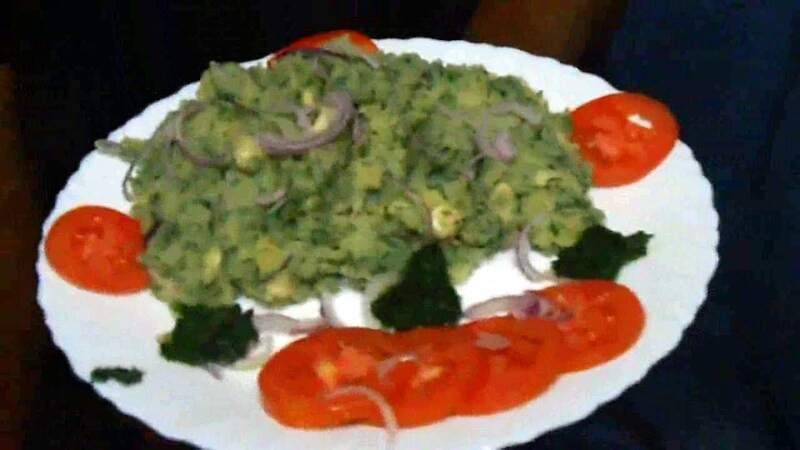 4.put the onions and oil in a sufuria and fry till golden brown. 5.smear and mix the onions with the product of step 3.